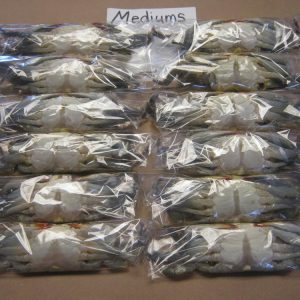 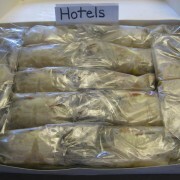 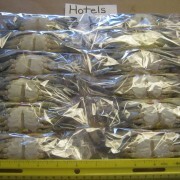 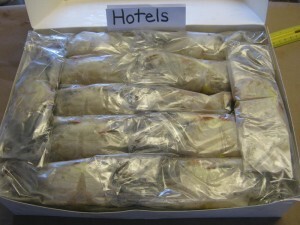 8 dozen hotel soft shell crabs: 96 crabs. 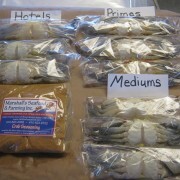 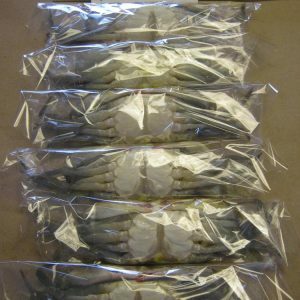 Each crab is cleaned and wrapped individually. 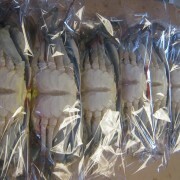 Each crab measures just over 4 inches up to 4 1/2 inches point to point across the top of the crab. 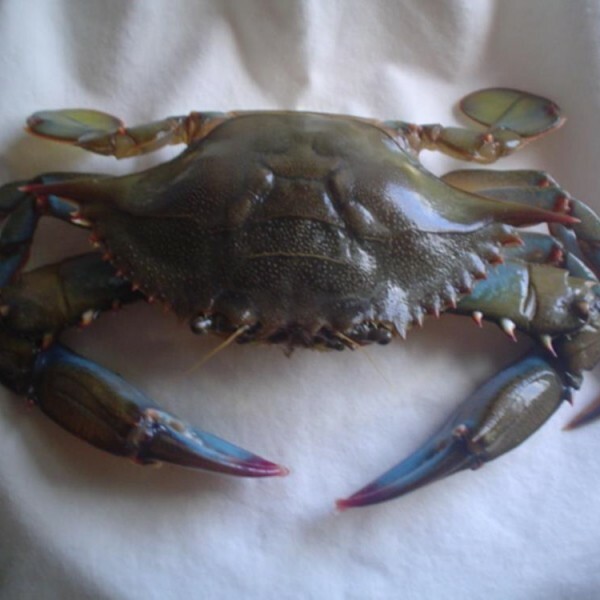 This measurement does not include the legs or claws.